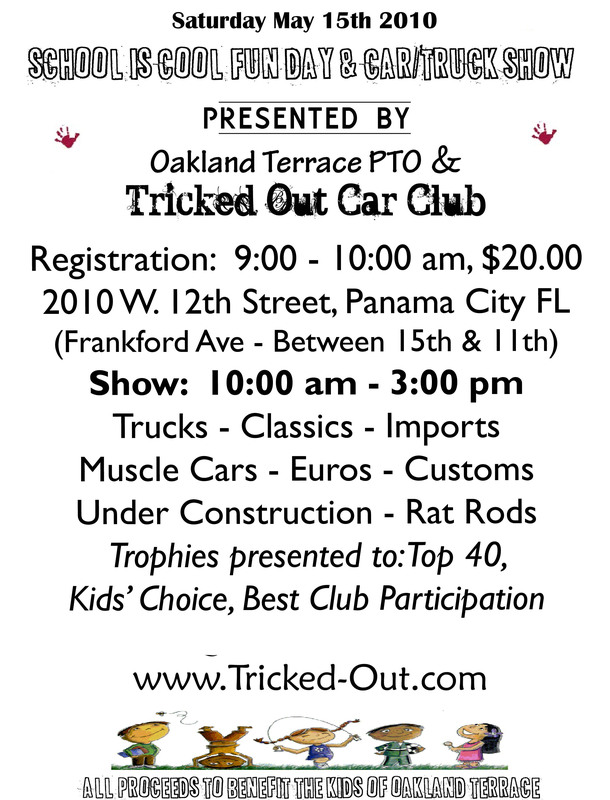 Tricked Out Car club would like to once again thank everyone who attended this year's show. It was a fun day full of different activities and excitement and was a huge success! Because of your attendance, the support of our community partners, and the members of Tricked Out Car Club, we were able to present the Oakland Terrace Elementary School PTO with $5,050.00 at the end of the show. There is nothing more important to the members of TOCC, than helping the kid's laugh and see a brighter tomorrow, and through our TOCC Giveback Program...we are doing that, one smile a t a time! It was truly a special day and a most unique experience for those that attended. From the 134 beautiful show vehicles present, to the helicopter landing in the street, to the kid's stage acts...it was a wonderful day and we hope to see you again next year! Please consider visiting our community partners throughout the year to show your support. You can help even further by filling out a comment card or telling them you are there because of the support they gave to the community on May 15th 2010, by helping Oakland Terrace & Tricked Out Car Club! If you are a community business or individual that would like to help or be apart of this event next year (2011), please contact us. 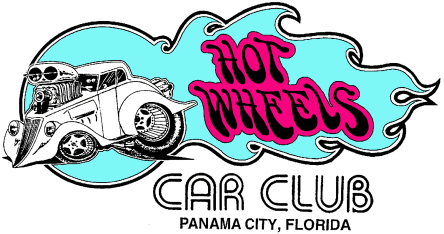 Special Thanks to Hot Wheels Car Club for their help! Numerous Independent Auto Enthusiasts from across the Southeast United States! Saturday May 15th Car Show. 10:00 am - 3:00 pm (registration 9:00 am to 10:00 am). Bring the whole family and have some fun with us! $20.00 registration to show; free to the >> general public <<. All proceeds to benefit the kids of Oakland Terrace Elementary School. $5050.00 - Raised in 5 hours. Food & Drink: Outlaws BBQ will be cooking up a feast with special pricing (partially donated), plus we will have popcorn, cotton candy, sweets & treats, ice cold sodas (cup & ice, Pepsi, Diet Pepsi, Mountain Dew), water and much more for sale. Cafeteria is open to sit and eat while you watch the stage acts and other activities. There is a wide variety of things to and see....it's a fun filled day for all! Games & Prizes: OT Show on Stage, Books for Bingo, Putt Putt, Pop the Balloon, Ring the Bottle, Bookmarks, Football Throw, Face Painting, Cake Walk. OT Kids compete for some free fun at Pump it Up! 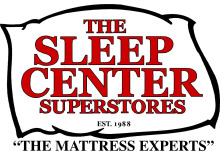 Play N Trade will be hosting several Wii and/or xBox competitions from 10:00 am to 2:00 pm with the grand prize of a new xBox game system, courtesy of The Sleep Center, to be given away. Bounce House: Bouncy House and other inflatable fun. Silent Auction: featuring Kids' Art and store-bought goods. Service Industry Display: EMT / Ambulance, Bay County Sheriffs Office Helicopter, Panama City Police, Fire Trucks, Navy Divers, and more. Top 40 Car/Truck Trophies - Car Show entrants' voting. Best of Show Car/Truck Trophy - Car Show entrants' and general public voting. Top 5 Motorcycle Trophies - Motorcycle entrants', Car Show entrants' and general public voting. Best of Show Motorcycle Trophy - Motorcycle entrants', Car Show entrants' Kids' entrants, and general public voting. Kids' Choice Trophy - Kids' voting on adults' vehicles. Kids' Toy Car Contest - Car Show entrants' voting. *All show cars must be parked and registered by 10:00 am. Awards will be given out at 2:00 pm. This will be held at Oakland Terrace Elementary School (on Frankford Ave between 11th St and Hwy 98). Show cars need to start arriving at 9:00 am. 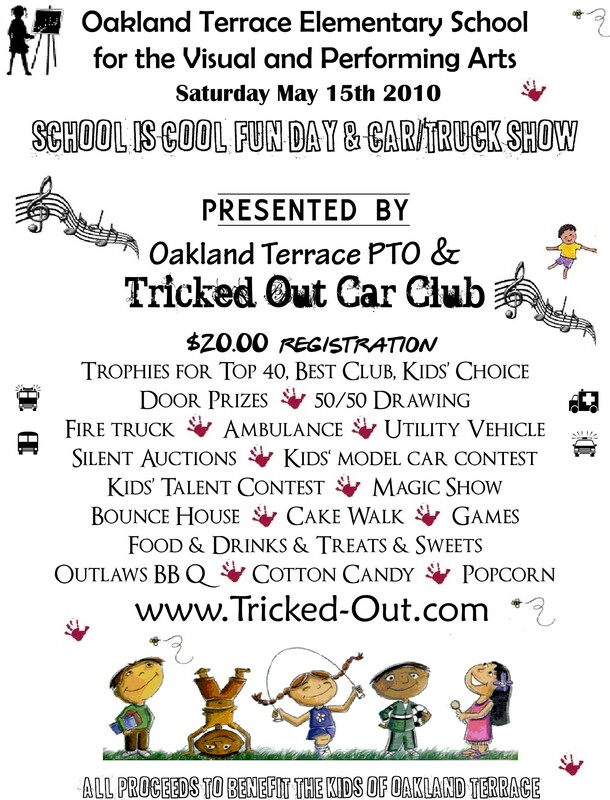 $20 donation to the Oakland Terrace PTO, per car. Info: Kids can bring one small model / toy car and register it and show it to win. They will be voted on by the entrants (both kids & Adults) and there is no cost to enter. Just sign up anytime on location from 10:00 am to 11:30 am. Judging will be from 11.00 am to 12:00 noon and awards presented in the closing ceremony (2:30 - 3:00 pm).